The portable handwash basin Duo has two nests and is lightweight and comfortable for moving, with an option for quick installation and servicing. This portable sink requires easy maintenance and is suitable for areas where water and sewerage have not been developed. It is supplied with a waste water tank, completely separate from the hermetically sealed clean water tank. 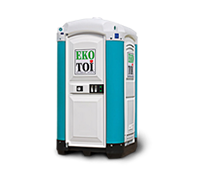 Perfect addition to mobile toilets for your event.